Another staple of horror stories are clowns, for similar reasons as dolls: childhood attachments blended with the uncanny valley. 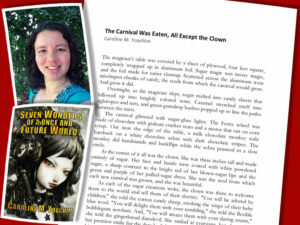 Caroline M. Yoachim turns this trope on its head in “The Carnival Was Eaten, All Except the Clown,” where the clown is the hero. Go to our Kickstarter for more. Caroline M. Yoachim lives in Seattle and loves cold cloudy weather. 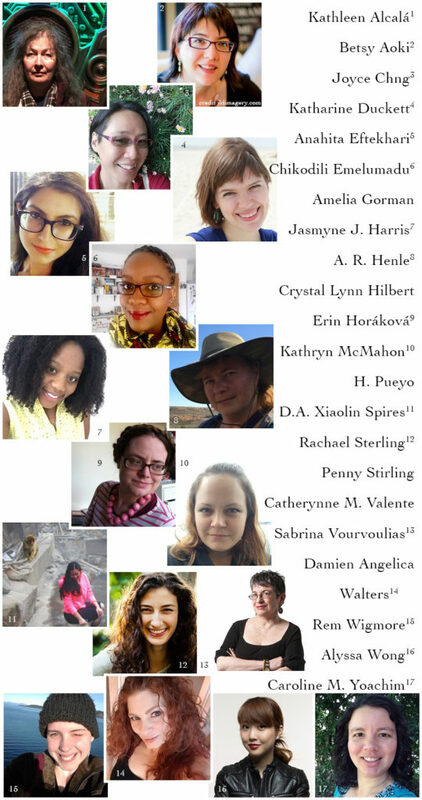 She is the author of dozens of short stories, appearing in Fantasy & Science Fiction, Clarkesworld, Asimov’s, and Lightspeed, among other places. 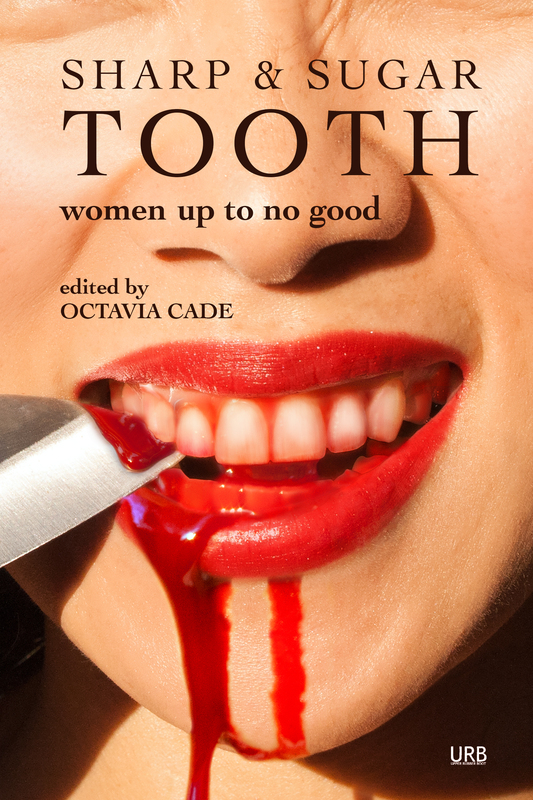 Her debut short story collection, Seven Wonders of a Once and Future World & Other Stories, came out with Fairwood Press in 2016. For more about Caroline, check out her website. 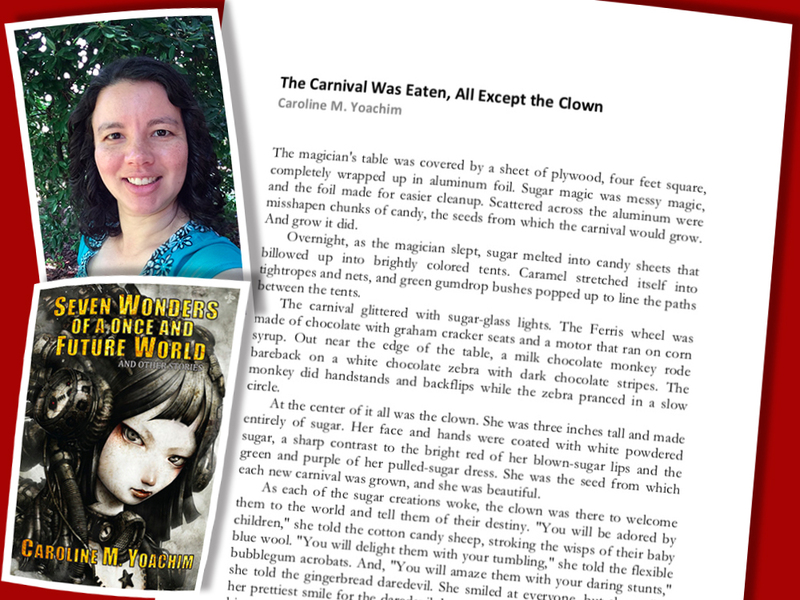 “The Carnival Was Eaten, All Except the Clown” first appeared in Electric Velocipede and was republished at Drabblecast.